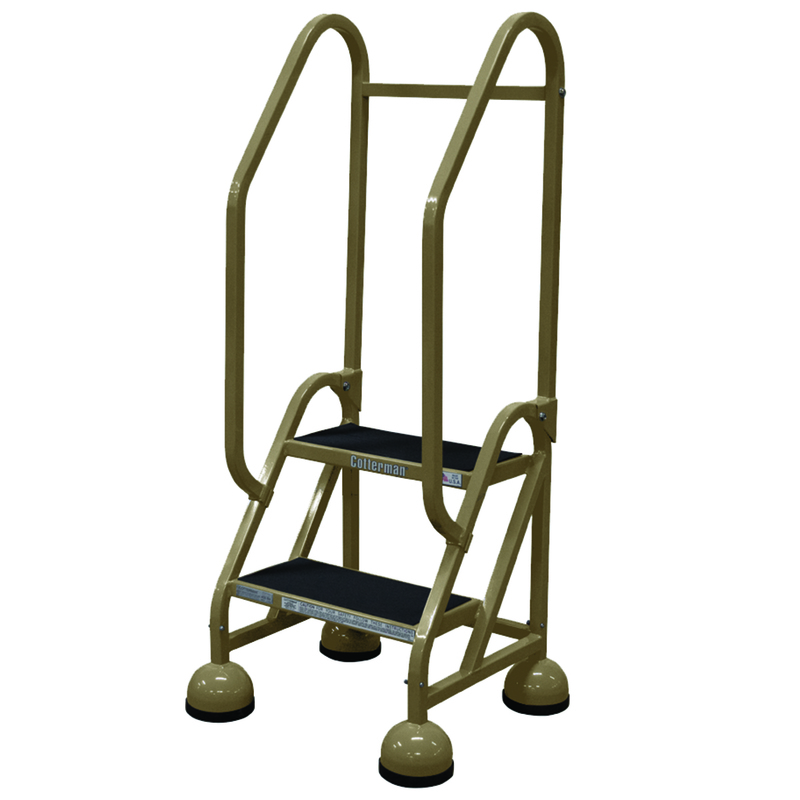 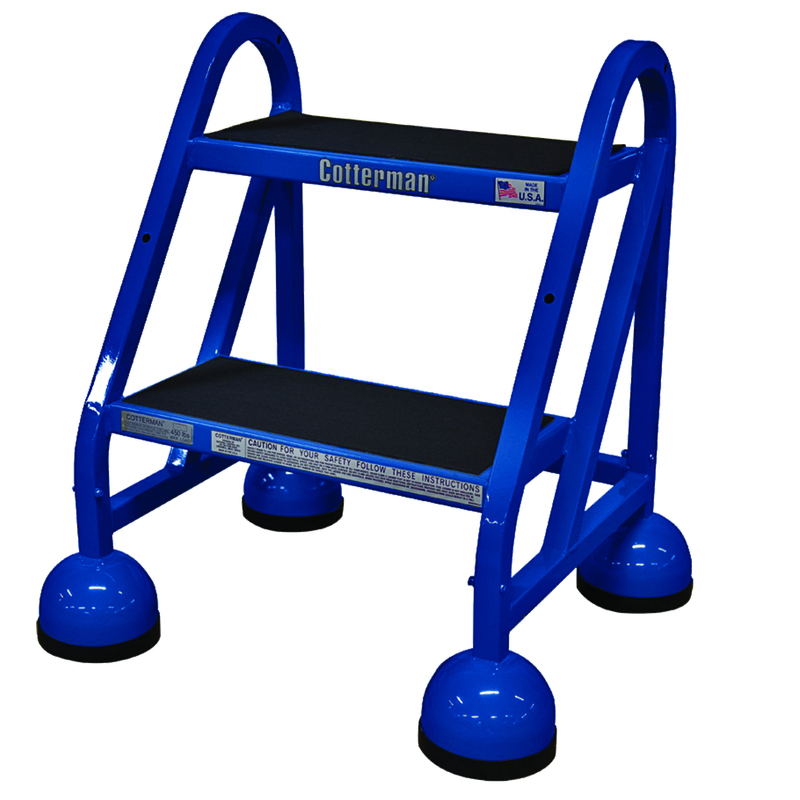 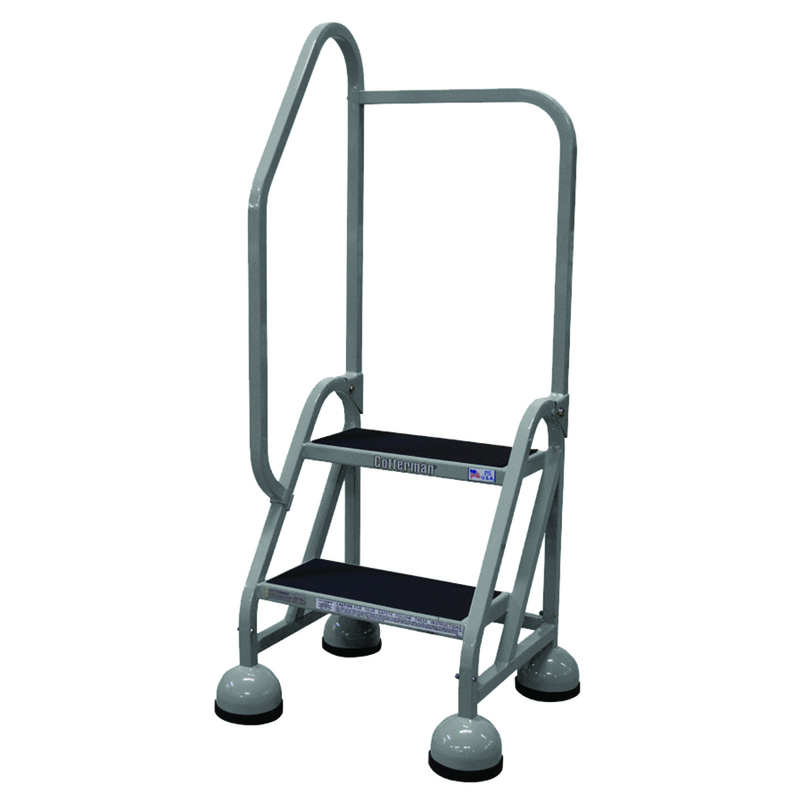 retractable casters and large protective cupped feet increase stability. 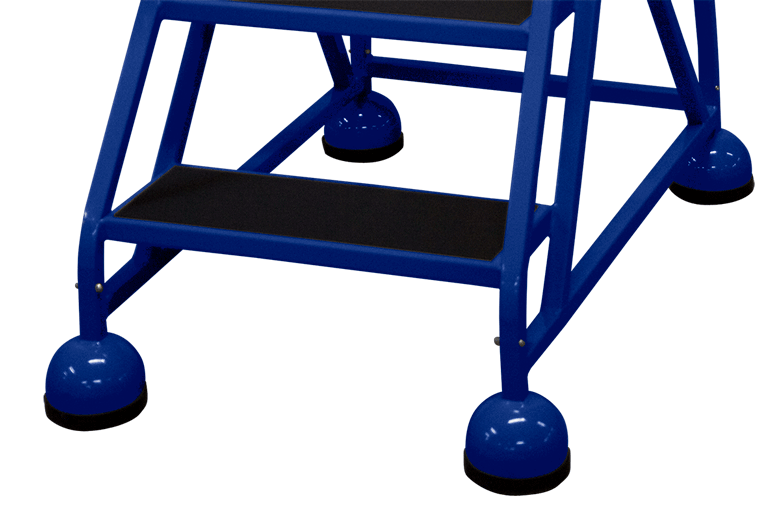 platform are covered with ribbed vinyl matting as standard. 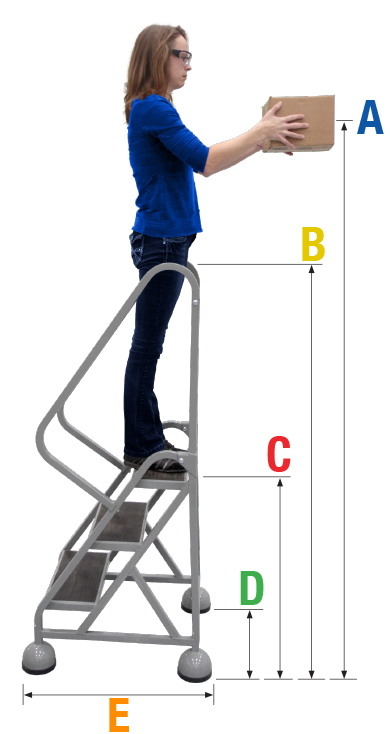 Office ladders meet applicable OSHA and ANSI standards. 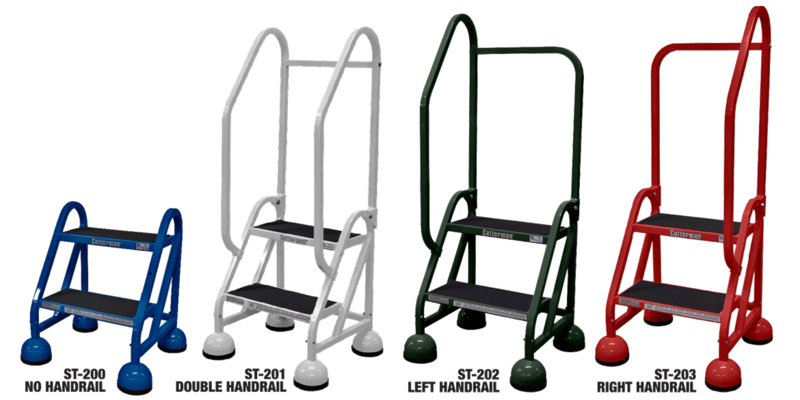 11 color options available to compliment any environment. 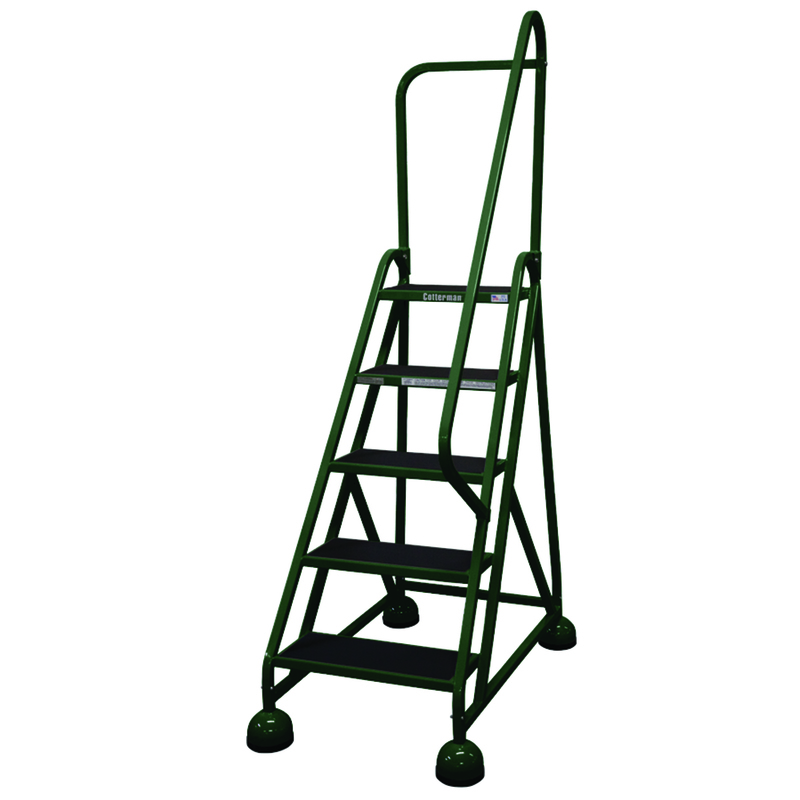 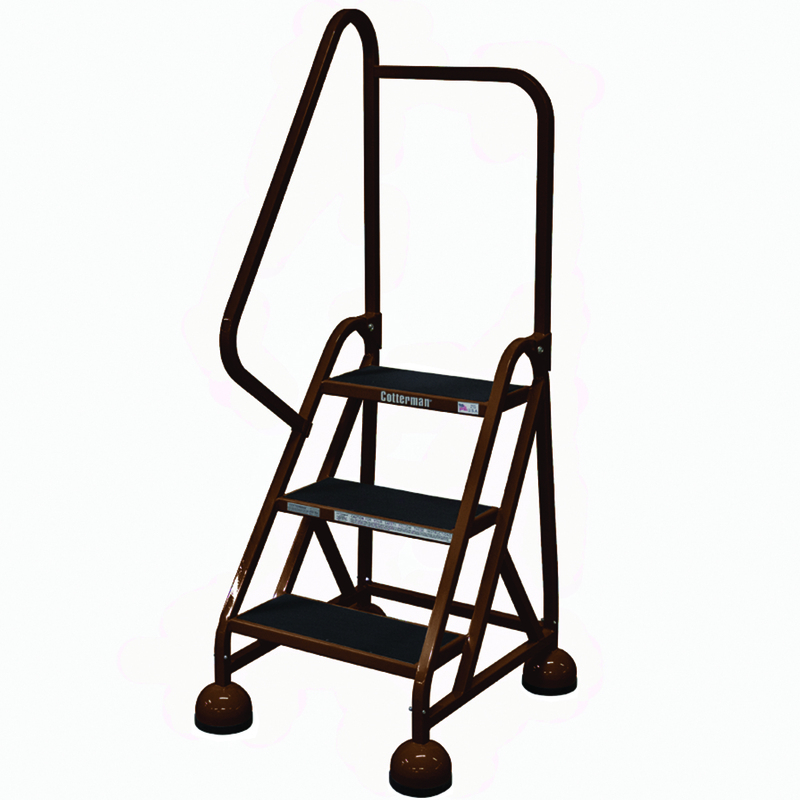 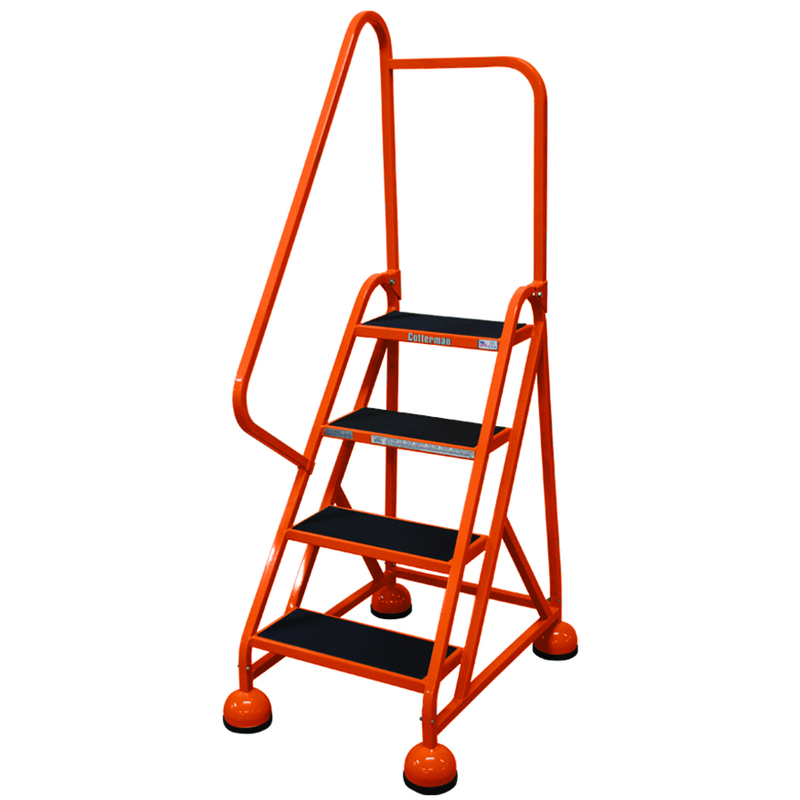 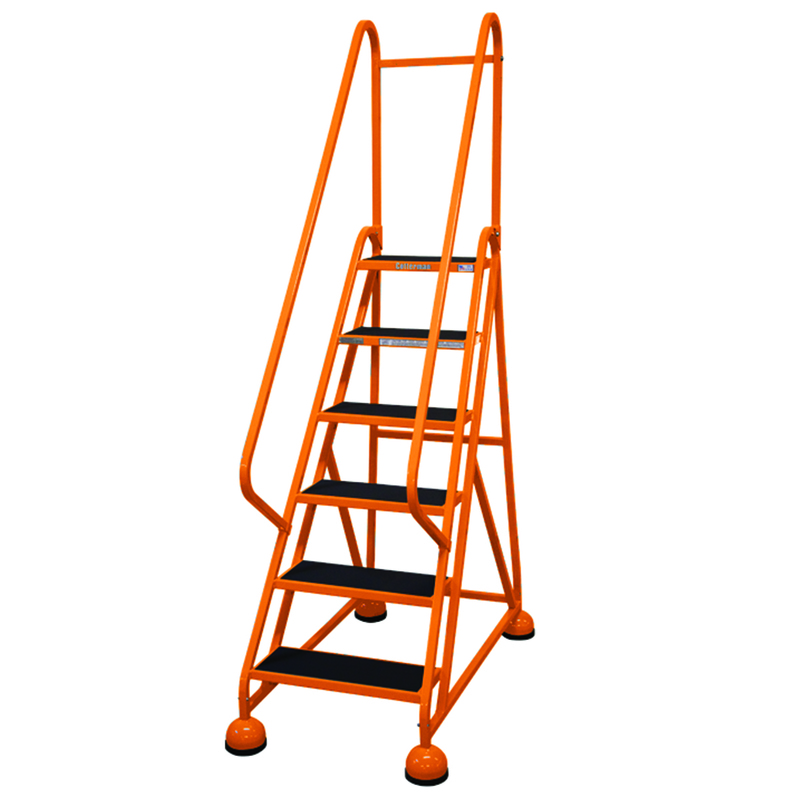 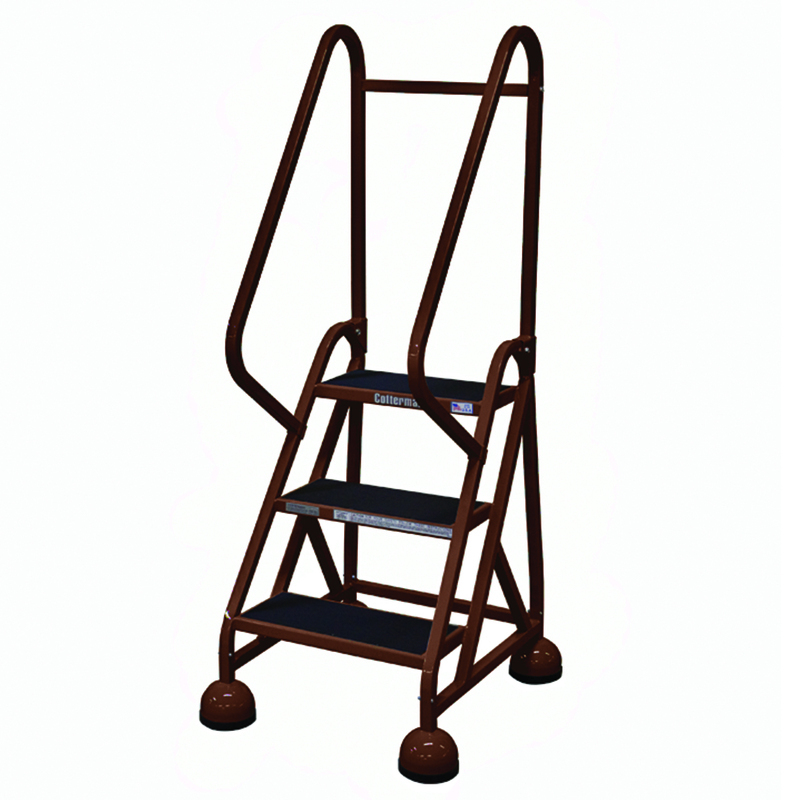 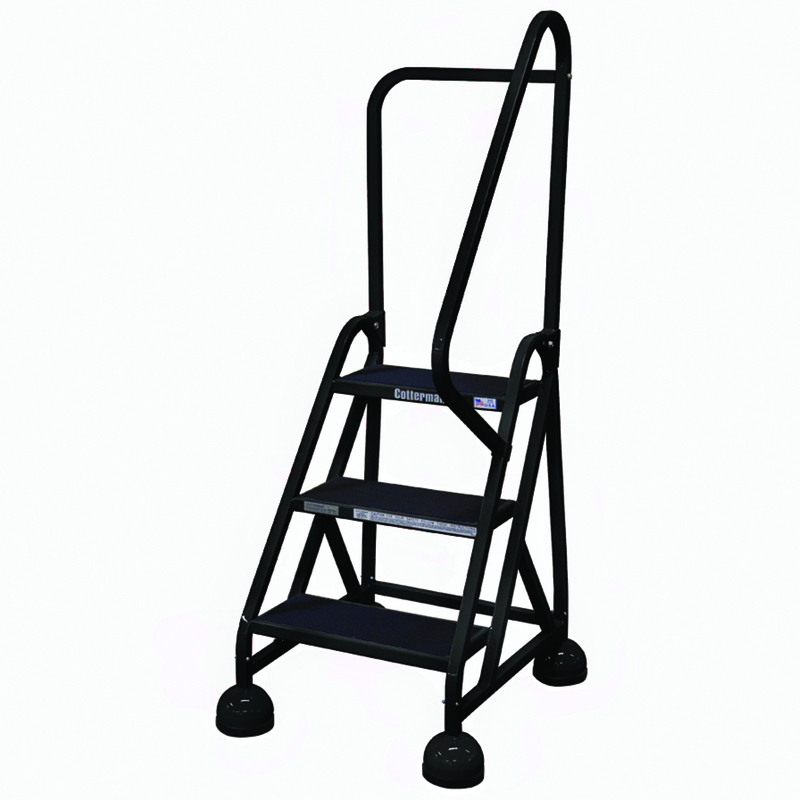 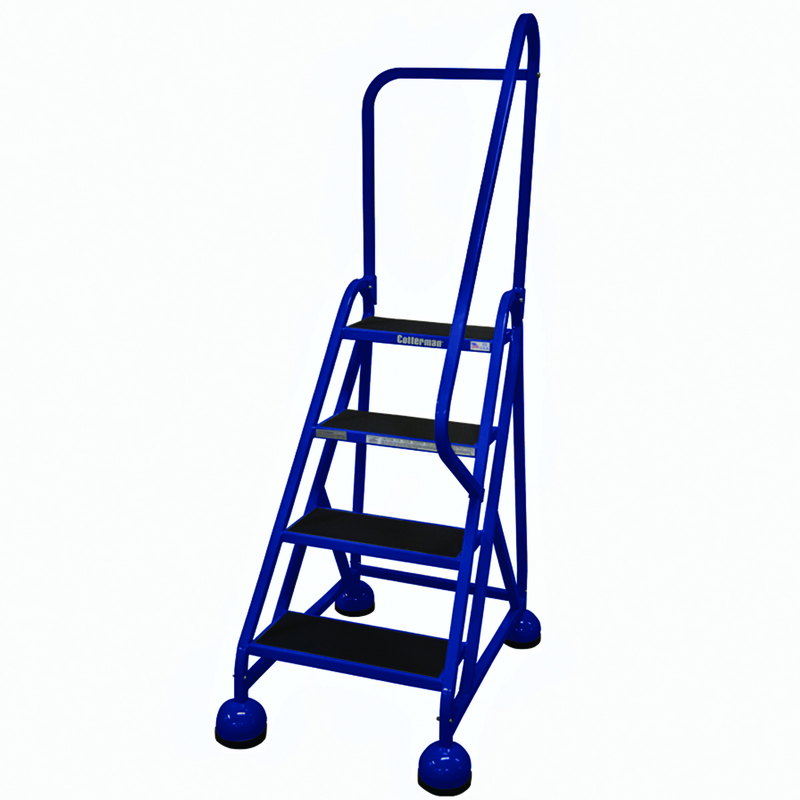 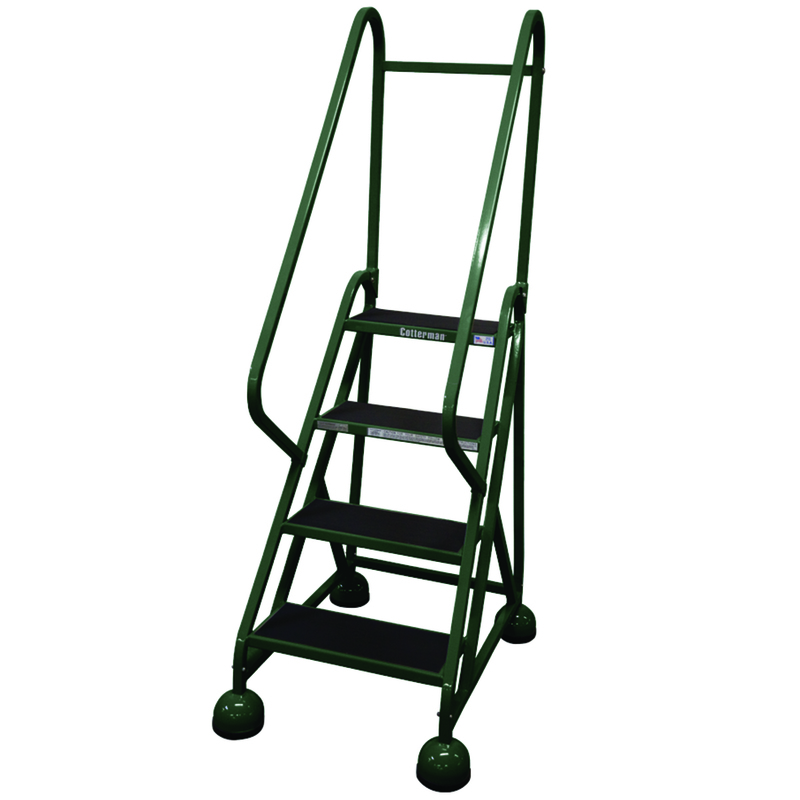 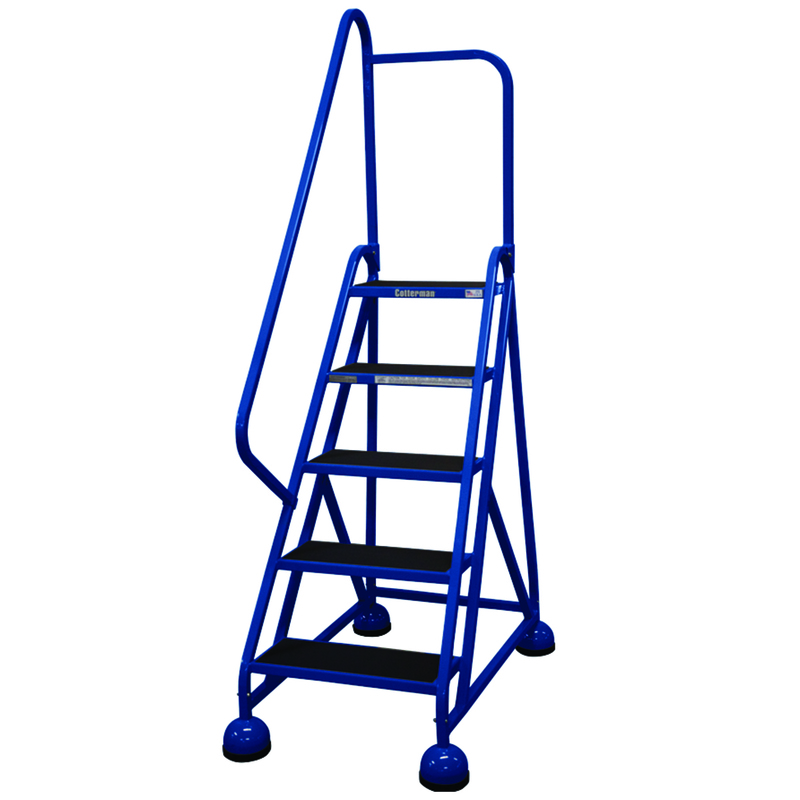 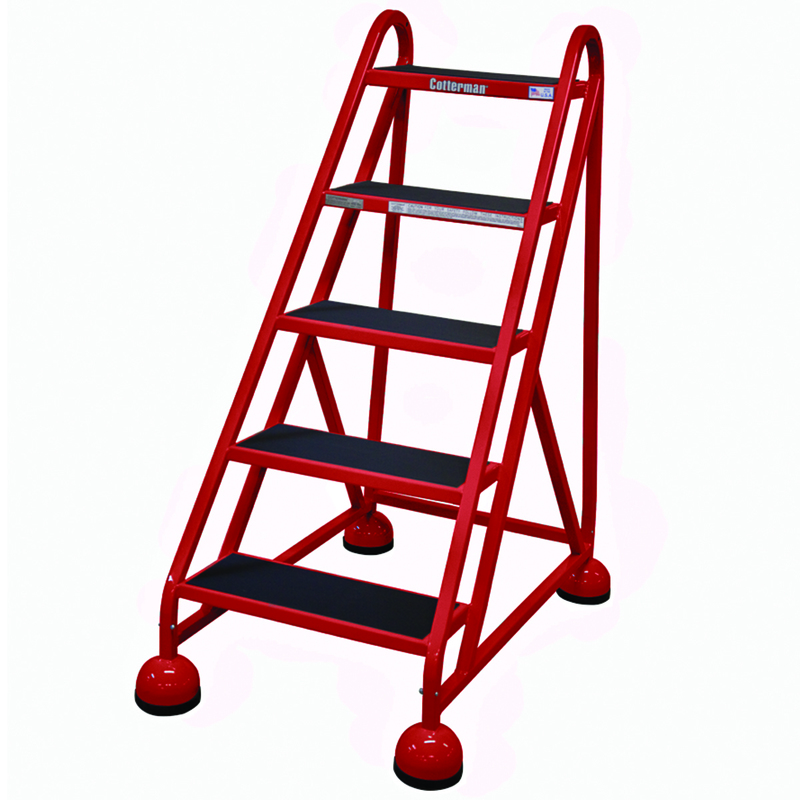 MasterStep® Steel Office Ladders meet applicable OSHA and ANSI standards. 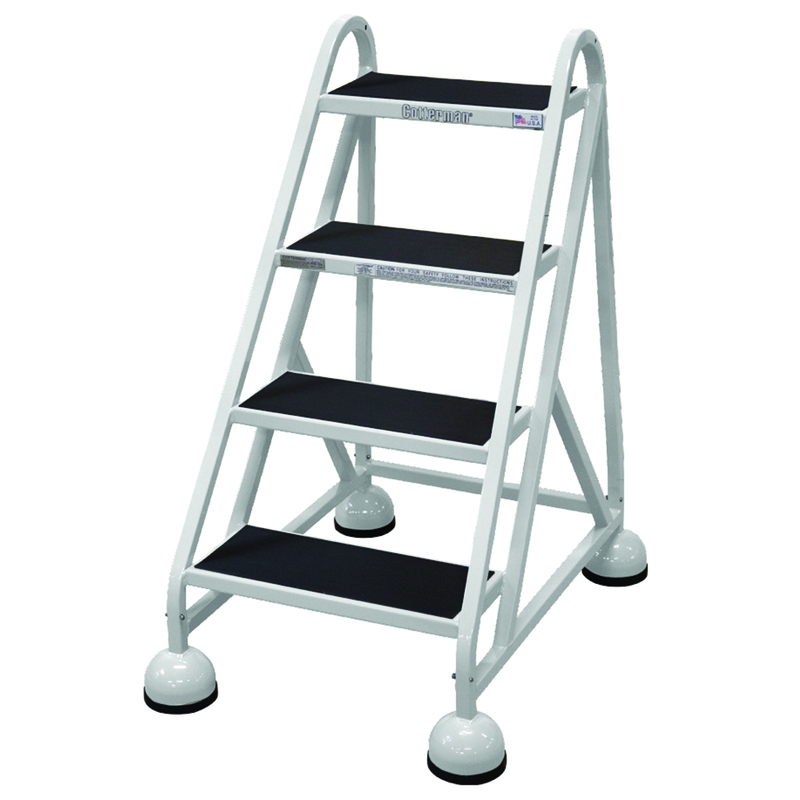 Cotterman® MasterStep® Steel Office Ladders come with high quality, slip resistant ribbed vinyl tread. 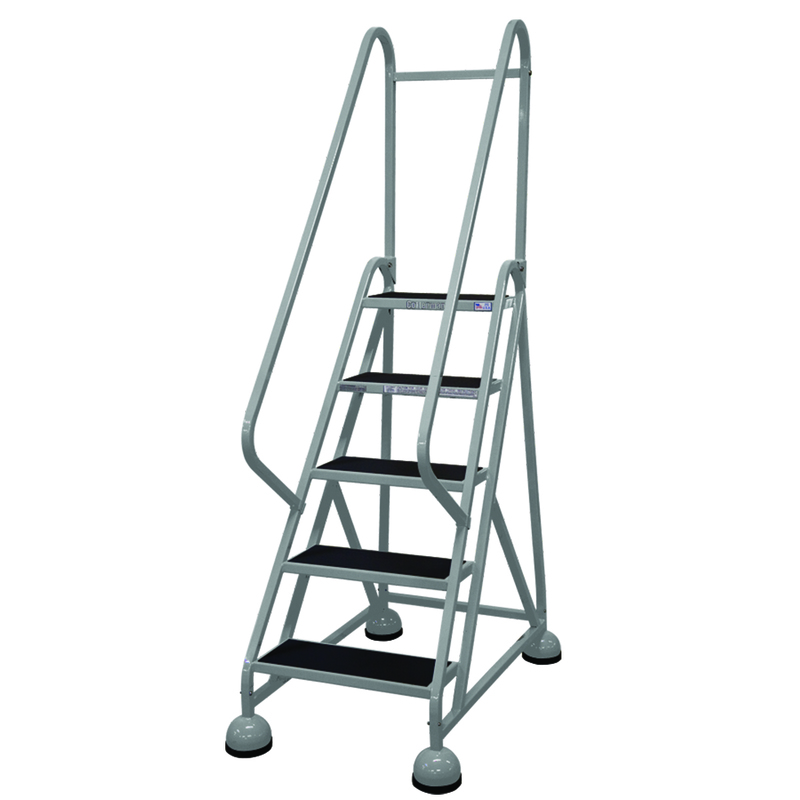 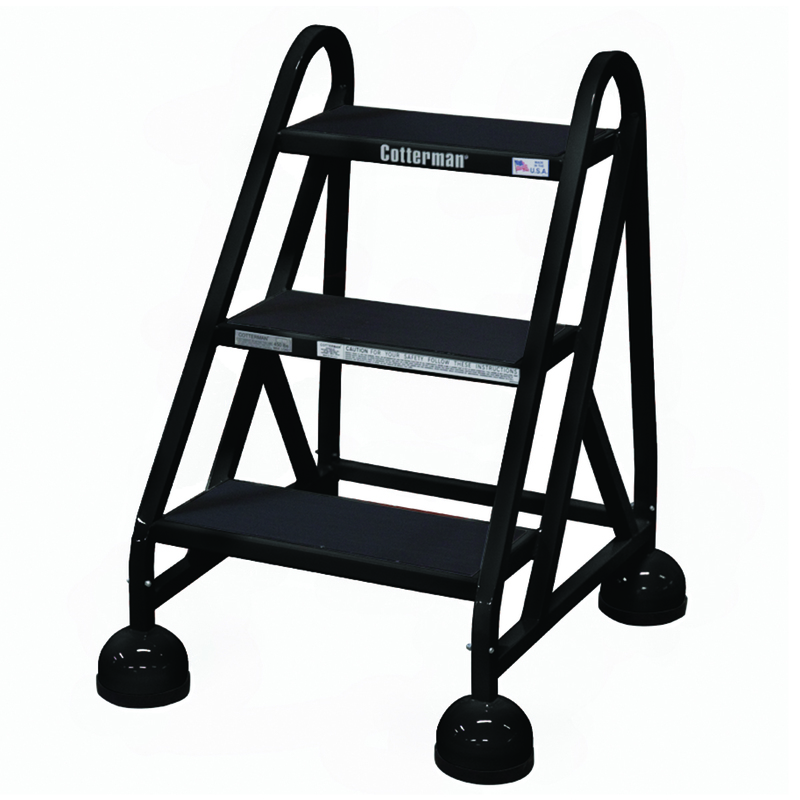 Cotterman® MasterStep® Steel Office Ladders come standard with a 16″ tread width. 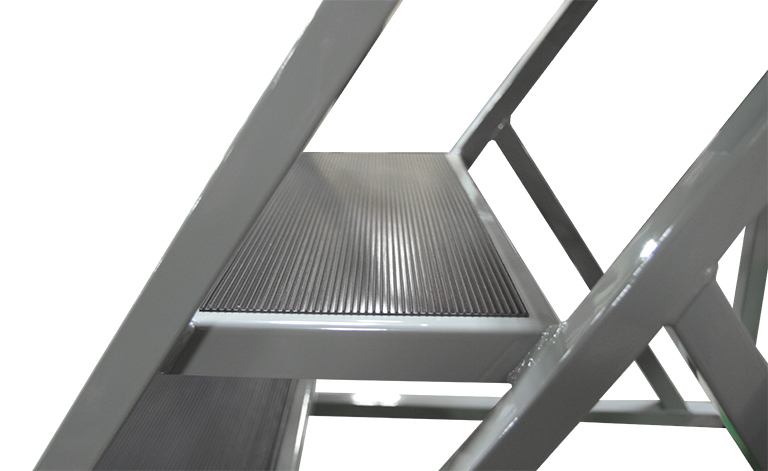 Open step Premium Serrated Tread. 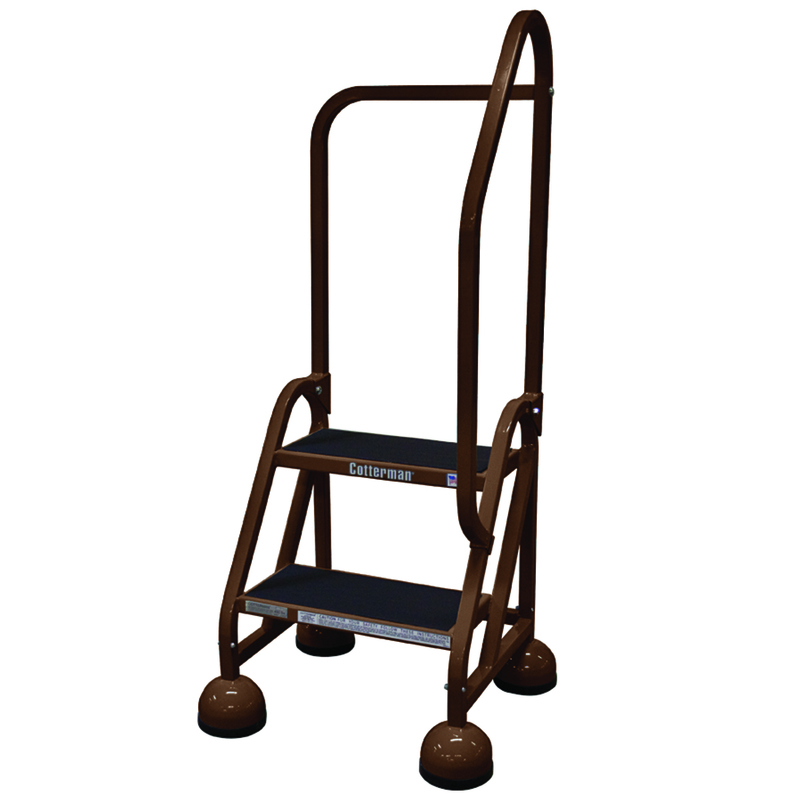 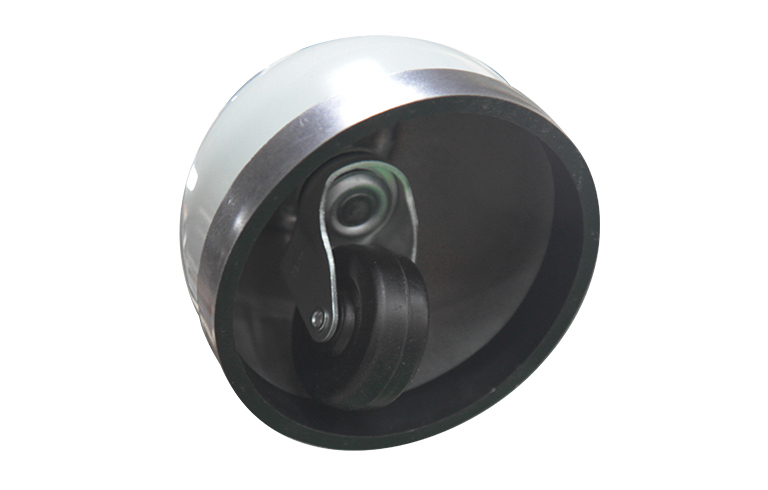 2″ spring loaded casters provide quick start and stop mobility. 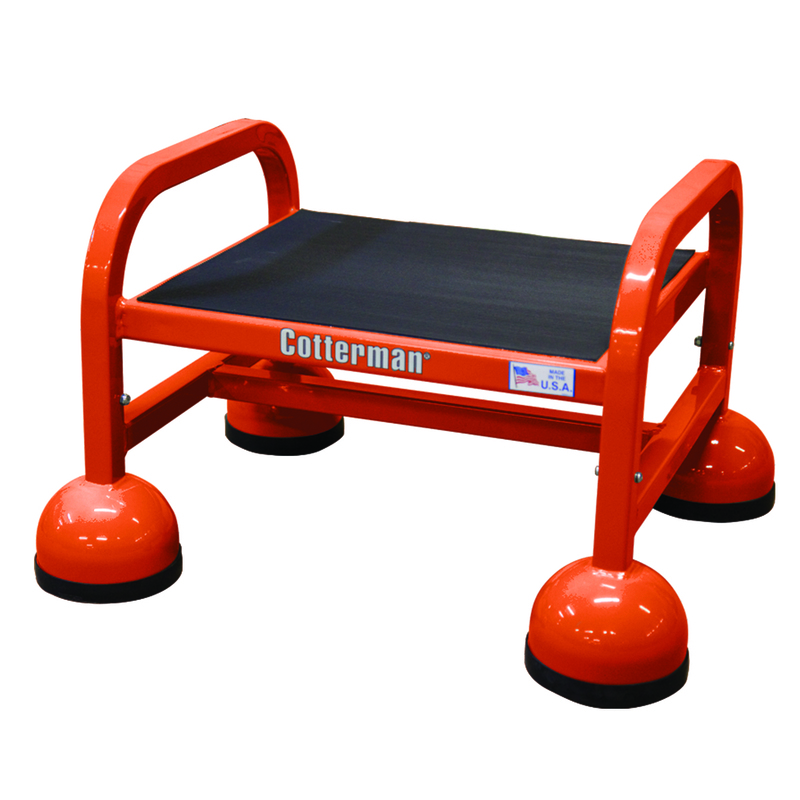 Large protective cupped feet increase stability..
*Dual Access Work Platforms also available for situations where access from both ends is required.